The Ferry Dock is located on M-28 about 2.5 miles west of the Munising's blinking light. 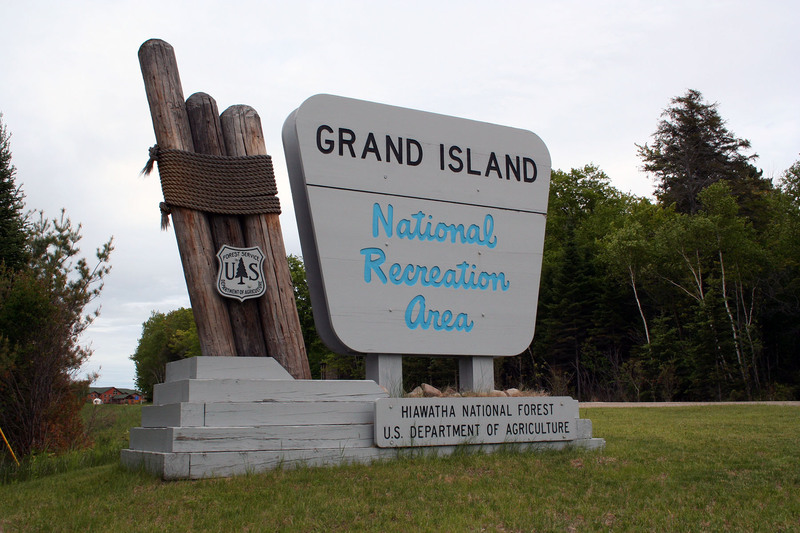 Look for the Grand Island National Recreation Area signs. The ferry runs regularly through out the day from the Friday before Memorial Day to October 9th. You can also access the island with a boat or kayak. There are no docks available. Boats must be either beached or anchored off shore at your own risk. Personal watercrafts (jet skis) are not allowed to land on Grand Island. The west side of Grand Island is exposed to the dominate NW wind. Mooring and beaching motorized boats is not recommended. Traveling to and from the island in your own boat can be hazardous. Much of the island is surrounded by cliffs. Obtain a reliable weather forecast and current nautical charts. Not all campsites are accessible from the water. Leave a trip itinerary with someone onshore before you leave. For those campers who choose to travel to the island in private watercraft, several options are available. The dock at Williams Landing is available for loading and unloading only, but not for unattended watercraft as it must be kept open for public transportation ferries. At Williams Landing, boats may be pulled ashore except where signs prohibit doing so. Motorboats often moor in the island’s bays. Personal watercrafts are not allowed to land on the island. 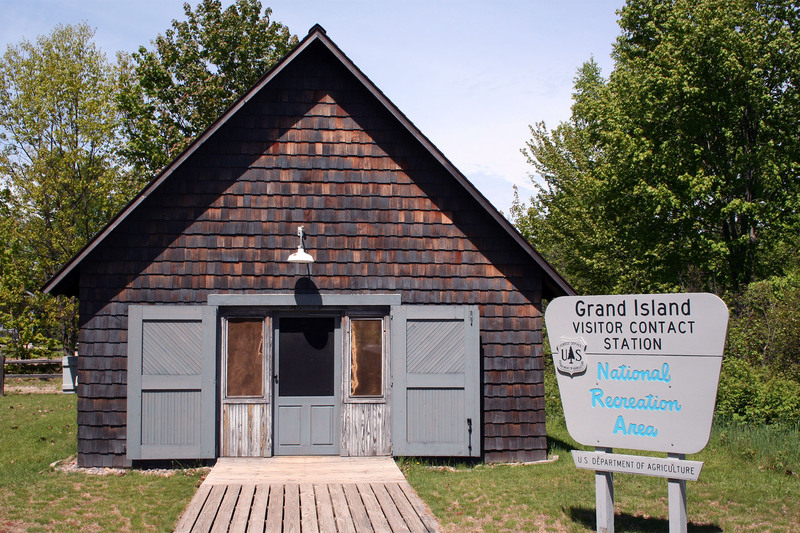 During the winter season, the only way to access Grand Island is across the ice by snowmobile, snowshoe or skis. Note: We can never recommend that the ice is safe. Travel over the ice is at your own risk! Snowmobiles are allowed on the island. 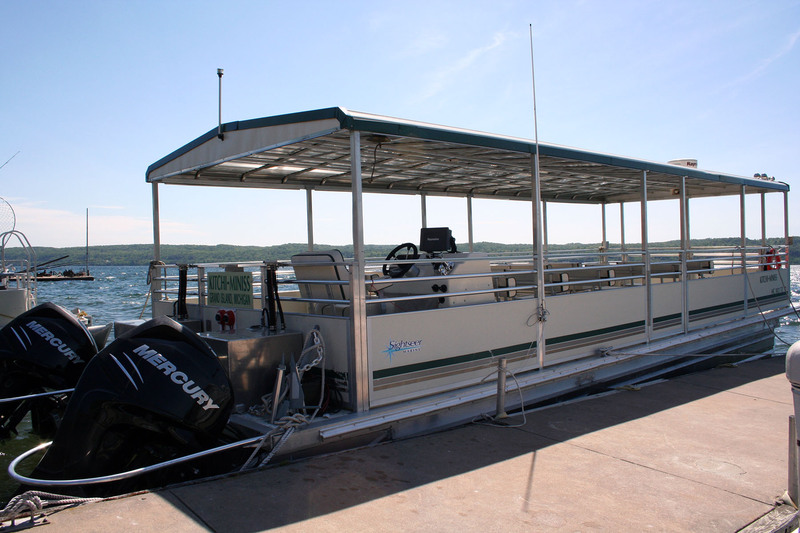 The Grand Island Ferry Service provides transportation to Grand Island just off the coast of Munising, MI. Nature enthusiasts enjoy hiking and mountain biking as they explore this secluded portion of the Hiawatha National Forest and Pictured Rocks National Lakeshore.